For businesses to thrive in today’s economy, finding and retaining the best employees is important. This is especially true for small businesses and nonprofits competing with larger businesses, and larger budgets, for top talent. Benefits play a large role in employee retention, and employees want benefits personalized to their needs. Frequent voluntary turnover has a negative impact on employee morale, productivity, and company revenue. Recruiting and training a new employee requires staff time and money. According to the Bureau of Labor Statistics, turnover is highest in industries such as trade and utilities, construction, retail, customer service, hospitality, and service. Studies on the cost of employee turnover are all over the board. Some studies (such as SHRM) predict that every time a business replaces a salaried employee, it costs 6 to 9 months’ salary on average. For a manager making $40,000 a year, that's $20,000 to $30,000 in recruiting and training expenses. But others predict the cost is even more—that losing a salaried employee can cost as much as twice their annual salary, especially for a high-earner or executive-level employee. What makes it so hard to predict the true cost of employee turnover is there are many intangible, and often untracked, costs associated with employee turnover. Improving benefits is one way to reduce employee turnover. Learn how to offer more personalized health benefits at a price you set in our Comprehensive Guide to the Small Business HRA. So, what is the real cost of losing an employee? Cost of onboarding a new person, including training and management time. 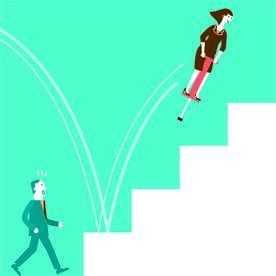 Lost engagement—other employees who see high turnover tend to disengage and lose productivity. Customer service and errors—for example new employees take longer and are often less adept at solving problems. Cultural impact—whenever someone leaves, others take time to ask why. One of the reasons the real cost of employee turnover is an unknown is that most companies don't have systems in place to track exit costs, recruiting, interviewing, hiring, orientation and training, lost productivity, potential customer dissatisfaction, reduced or lost business, administrative costs, lost expertise, etc. This takes collaboration among departments (HR, Finance, Operations), ways to measure these costs, and reporting mechanisms. Benchmark your employee retention rate. Use proven retention strategies, not guesswork. Don't assume employees are happy (create a high-feedback environment). Implement a health benefits program, like a qualified small employer health reimbursement arrangement (QSEHRA). Provide personalized benefits to employees. Editor's Note: This post was originally published in August 2013. What do you think are key factors in the cost of losing an employee? What are your tips for employee retention? Join the discussion by leaving a comment below. Learn how personalized benefits can help your company with employee retention.